The Naga People’s Front (NPF) on Monday termed the North East Region’s Political Parties’ Convention on Citizenship (Amendment) Bill held in Guwahati on January 28 as a major breakthrough in drawing attention of the Centre towards resentment of the people of the Northeast against the Bill. As a follow-up of the meeting, major political parties of the region, including the NPF, apprised Union home minister Rajnath Singh and other central leaders in New Delhi on Sunday about the dissent and furore the Bill has caused in the region after it was passed in the Lok Sabha on January 8, NPF press bureau sad in a release. 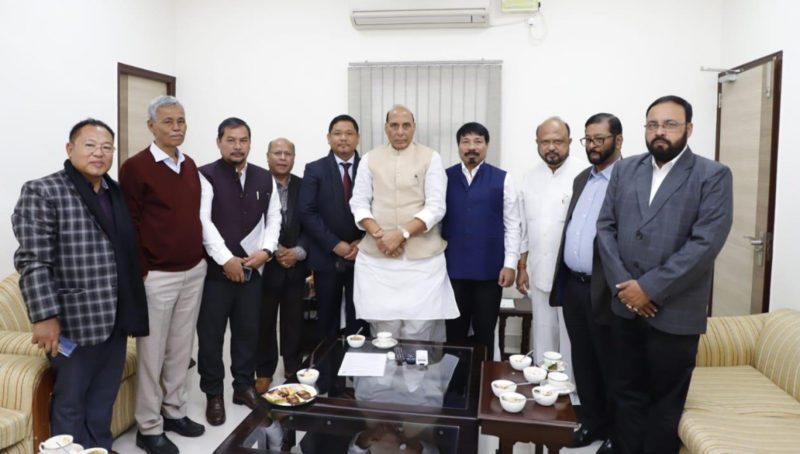 The nine-member delegation, which met the central leaders, comprised members of various political parties of the region led by Meghalaya chief minister Conrad K. Sangma. NPF’s Manipur unit president Awangbo Newmai represented the NPF. The NPF said the Northeast political parties’ meeting in Guwahati was convened in view of the uproar of the indigenous people of the north eastern states over the likely impact the Bill would have in the region if it becomes an Act. The NPF was represented by party legislators and workers led by NPF Legislature Party leader T.R. Zeliang in the meeting. Reiterating its stand and opposition to the Bill, the NPF condemned the ruling Nationalist Democratic Progressing Party-led People’s Democratic Alliance government in Nagaland for allegedly being indecisive and confusing the Naga public “with its fickle and inconsistent decisions every other day” over the Bill. The NPF said it would not be surprised the Nagaland cabinet decides not to oppose the Bill in coming days as its decisions of late have been changing every alternate day. It reminded the NDPP to cultivate more ‘facta’ and less of ‘verba’ and govern with responsibility and the will to serve and protect the people. The NPF also asserted that it will be party to all like-minded political parties in the region which stand for the welfare and protection of the indigenous people and not to the political party which is all words and no action.